A global operation like Microsoft employs a diverse international workforce. To process their visa applications faster, the legal team uses Microsoft Dynamics so employees can focus on what they do best. At Breakpoint Technology, it's our job to assist your business along your digital transformation journey, and we can help you use these same tools. Give us a call to learn how you can improve your workflows too. At Microsoft, they've developed a faster way to assist employees who need work visas. 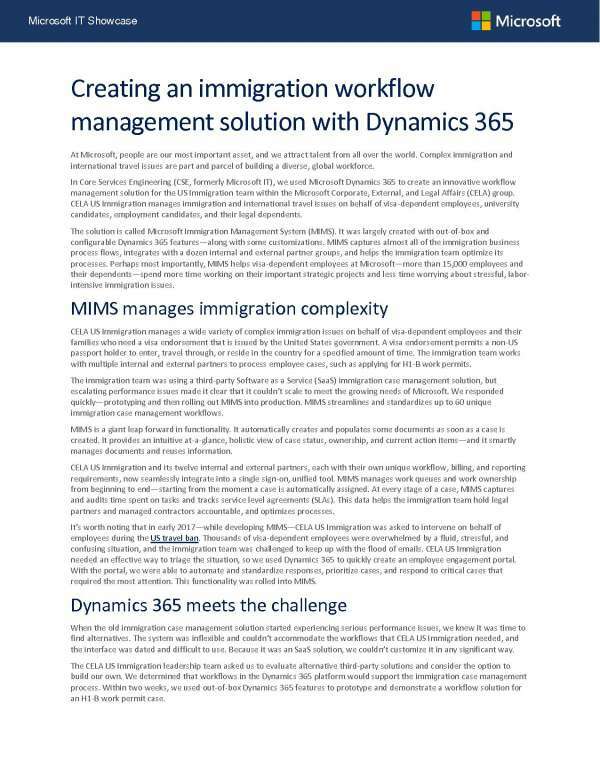 Their Microsoft Immigration Management System (MIMS) is built with out-of-the-box solutions like Dynamics 365 that create a continuous workflow and helps their legal team optimize its processes. It just goes to show what you can accomplish with the solutions in the market today. At Breakpoint Technology, we know it can be a challenge to implement out-of-the-box tech, that's why we're here, to help businesses just like yours to transition quickly and efficiently. Contact us today to learn more about how we can help.